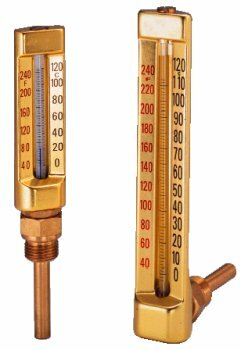 When space limits on installations, the glass tube industrial thermometer is recommended. This instrument is compactly designed, ruggedly constructed and performs excellent readability. It's suitable for the general construction industry. The low cost and quality design make it ideal for a variety of commercial applications.